Peer coaching can enhance teaching practices and students’ performance by empowering educators to take ownership of their professional learning. 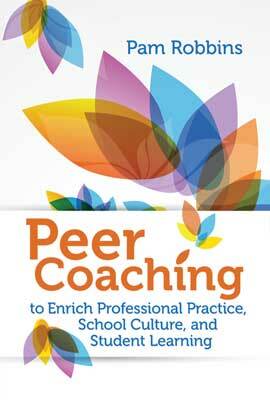 With peer coaching, educators set personal goals and use nonevaluative feedback from trusted colleagues. Explores how to build a foundation of trust to support peer coaching by using differentiated activities that align with the needs of a specific context. Examines how to use peer coaching structures to promote professional growth, collegiality, and cultures of continuous improvement and support student learning. Provides tools and tips from peer coaches and school leaders that can support—or help you implement—peer coaching practices in any school. Pam Robbins is an independent consultant who works with school systems, state departments of education, universities, professional organizations, and corporate clients across the United States, Canada, Europe, Great Britain, South America, and Asia.